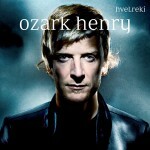 EMI Germany announced today that the Belgian singer Ozark Henry will be the support act for Roxette’s four regular summer concerts in Germany. So the Audi gigs are another matter. Henry made the #1 spot with his album „Hvelreki“ and EMI expects him to succeed internationally. It seems like he will be support artists for all 6 shows this June. Did you see any info about the Audi gigs? The EMI article only lists the other four. Follow us & Support us! Where to end the Gyllene Tider farewell tour?